Fiction – paperback; Allen & Unwin; 319 pages; 2008. I read Charlotte Wood’s The Submerged Cathedral about this time last year and enjoyed it enough to want to explore more of her work. The Children, her third novel, is set over six days in February 2006. Geoff Connolly, a retiree, falls off the roof of his home in rural New South Wales and is taken to hospital with severe head injuries. As he lays like “a mechanically breathing corpse” in the newly opened intensive care unit, his wife and three adult children — war correspondent Mandy, civil servant Stephen and artist Cathy — gather around his bedside to keep vigil. But this is not a happy family. The siblings nurse decades-long petty grievances and bitter rivalries. Stephen has kept himself apart from the family for years and only keeps in intermittent touch with Cathy. Mandy, shell-shocked and hardened from too much time reporting from the world’s war zones, is unable to keep a civil tongue in her head — at the expense of her now crumbling marriage to Chris. While Sydney-based Cathy, the youngest, plays the role of dutiful daughter, failing to understand why her older brother and sister are always at loggerheads. But while Geoff is oblivious to the tension and strain around him, so, too, is his wife Margaret, who is bewildered by events and the behaviour of her adult children. Her family is coming apart at the seams, but is it still her role, after all these years, to keep it together? You bring your children up to escape sorrow. You spend your best years trying to stop them witnessing it — on television, in you, in your neighbours’ faces. Then you realise, slowly, that there is no escape, that they must steer their own way through life’s cruelties. If that’s not enough, there’s a separate drama unfolding around them: Tony, a warden at the hospital, has developed an unhealthy obsession with Mandy that threatens her safety — perhaps more so than at any other time in her life, including her stints in the Balkans and war-torn Iraq, she just doesn’t know it yet. Wood maintains this narrative tension throughout the novel by interspersing short chapters, from Tony’s point-of-view, that demonstrate his childlike, creepy tendencies. But even without this subsidiary storyline, the main thrust of The Children — a family collapsing in on itself at a time of great distress — is a page-turning read. The characters are so well drawn that you feel as if you’ve known them all your life. Mandy is particularly believable as the embittered, contrary and “superior” war correspondent and I like the way Wood fleshes out her back story in order to contrast Mandy’s inability to readjust to ordinary civilian life. Mandy is silenced. She puts a cigarette to her lips, staring at her brother. She has never hated anyone so much in her life. ‘You can’t smoke in here!’ Margaret cries. The Children is a wonderful family drama — on an equal to anything that loads of famous white American males churn out and for which they get lauded — that puts “normality” under the microscope. It is closely observed and so beautifully nuanced that I’m sure you could read this book a dozen times and come away with new things you missed earlier. My only quibble is the too-quick and overly dramatic ending — in which Tony and Mandy finally come head-to-head — because it lets down an otherwise superbly crafted novel. The Children was shortlisted for the Australian Book Industry Awards literary fiction award in 2008. Sadly, it doesn’t seem to be available outside of Australia or New Zealand. Glad you enjoyed this book – you will definitely enjoy Animal People which picks up the story of Stephen later in his life. I agree its easily as good as a family drama written by one of the many lauded American writers – which I also enjoy – and honestly wish our good Australian writers were more recognised out of this country. We do have some great writers who really struggle to make a living out of their writing unfortunately. Am anxious to read Animal People, but didn’t know it featured Stephen… makes me even more curious now! I think the problem with Australian writers gaining international recognition is that so few Australian novels are ever published outside of Australia and New Zealand. 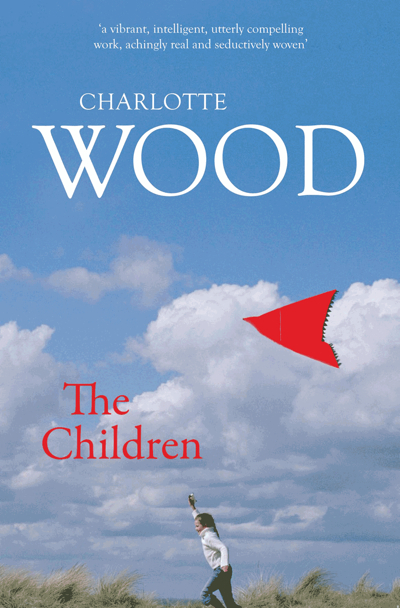 I’d argue that The Children is up there with the likes of Jonathan Franzen but when you can’t buy the novel in the UK or the US then how on earth is Charlotte Wood ever able to lift her profile? It’s such a pity… I really don’t understand all these territorial rights restrictions. I can only assume it’s cheaper for the publisher to restrict rights to one region, hence they don’t bother buying all-rights. Sounds great and the menu scene reminds me of Louise Dean’s The Old Romantic. Aussie novels can be pricey used and this is one of them. Ah… I do have to read The Old Romantic at some point (so many books, so little time). Aussie novels are pricey no matter where you live — but they’re especially pricey in Australia itself. It’s good to see more and more becoming available to an international audience on Kindle/ebook, however, although even they are quite pricey. I tend to find most of my Aussie bargains at my local Oxfam — I think there’s quite a lot of Australians living locally, or travellers who go to Australia and bring a novel or two back with them. I read this a few years ago and really enjoyed it. I remember thinking that the character of Mandy was fascinating and complex. You know, I almost forgot about the Tony storyline! I’ll have to revisit it some day. Do you plan on reading Animal People? I suppose it’s hard to get over there. Oops, just saw your comment above re Animal People. Interestingly Kim , its the creepy additional story that I think would mke me want to read this more than the family breakdown. I have always struggled slightly with those family stories, maybe because with my bonkers family I don’t need the books. Ha.